Limousine-like coach doors open on to a private and safe compartment with full-size seating for up to six passengers - gives larger families and groups the ability to travel together. Whether finishing a presentation, consulting Trip-Advisor or checking-in online, convenience and connectivity are assured thanks to integrated phone and laptop charging points and Wi-Fi on-board. The new panoramic glass roof, standard on all new electric taxis, creates a spacious and airy ambiance and provides a stunning window on the cityscape outside. Controlling the climate setting is convenient and easy. Rear independent touch controls allow for complete cabin comfort giving occupants the ability to adjust a variety of climate control features including temperature and fans speed. The same control panel features a two-way voice intercom with integrated microphone and speakers ensures crystal clear communication between the driver and passengers. Consideration for hearing impaired passengers has also been given. Upon entering the taxi the clear partition lets passengers communicate visually with drivers. The digital intercom features an induction loop, allowing hearing aid wearers to listen to the driver clearly and the channel is clearly marked on both sides of the vehicle with visible labelling. The space next to the driver provides a dedicated 440l luggage compartment - meaning there is adequate accommodation for passengers and their luggage. There's no need to find cash, to make life easier for consumers all black cabs are capable of accepting contactless or chip-and-pin card payments. All payments are secure and can easily be tracked on your statement or banking app. The world renowned Black Cab has always been designed from the ground up to be the best possible Hackney-carriage for the taxi trade. No compromises or van conversions here - the London Taxi is purpose-built to be a hackney carriage vehicle. The instantly recognisable design ensures that customers always know that the Black Cab is a London Taxi, whether they are hailing one during the day or at night. 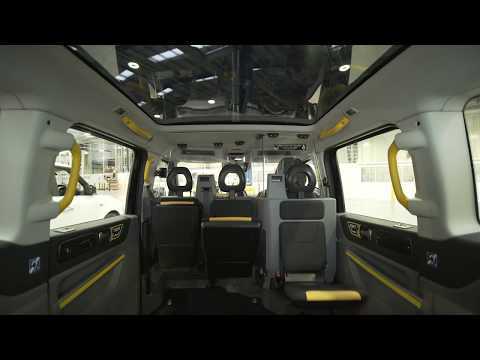 The safety features of the iconic London taxi have been protecting drivers and passengers for decades & the new TX is no exception - in fact it's our safest taxi ever.